Okay. Let's admit it. 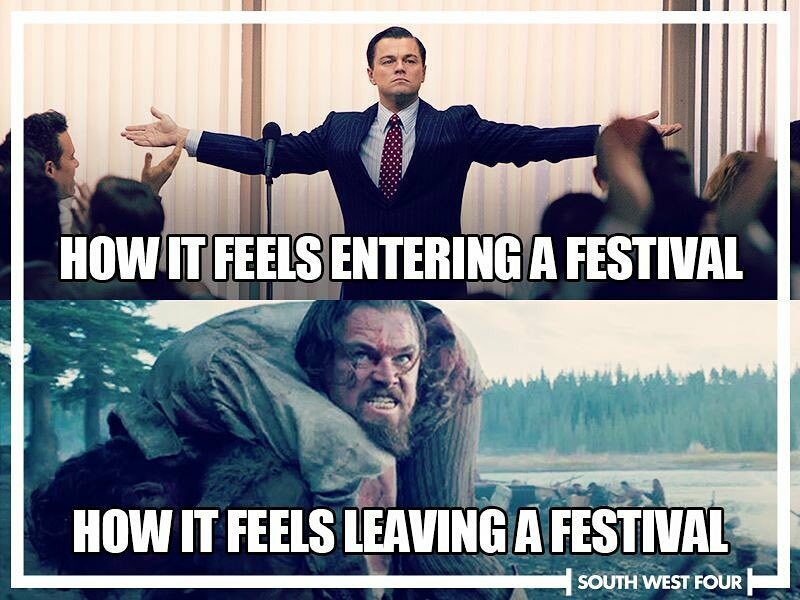 Making fun of festivals is easy. They're the only place on earth where good times, a shortage of sleep and exorbitant hours of 150 BPM will turn you into a goblin. 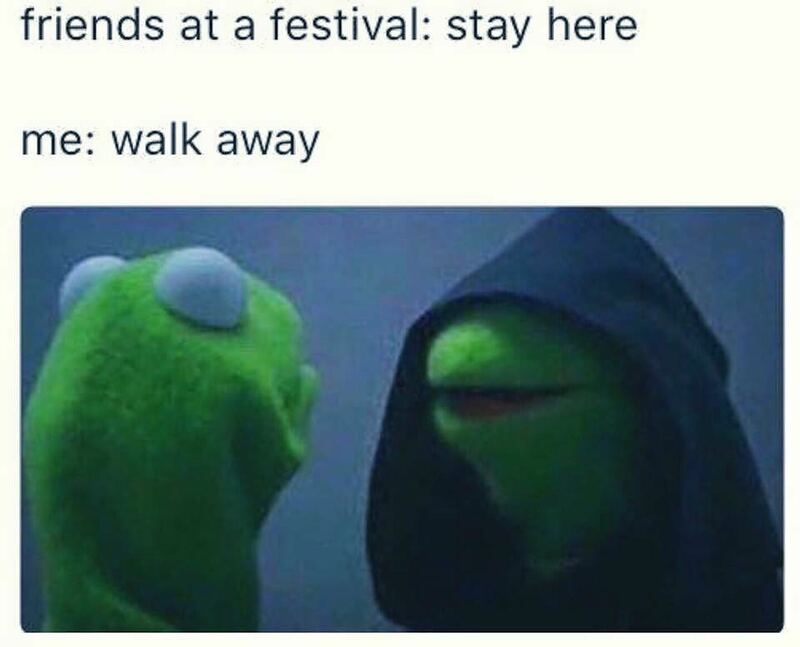 Themes like these are the essence of our festie subculture, and what better way to capture that essence than with a meme? Memes are funny because they're true. Not quite stereotypes, not quite politically correct, they are the ultimate wink-wink nod-nod. 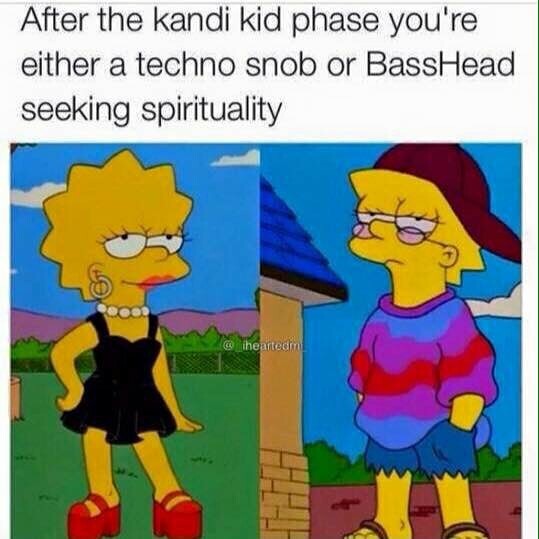 Who hasn’t encountered a festie snob? Aggressively avoided certain genres of electronica? Tried to reason with unhelpful directions? Been gifted 7am dubstep from heartless neighbors? We can all relate... 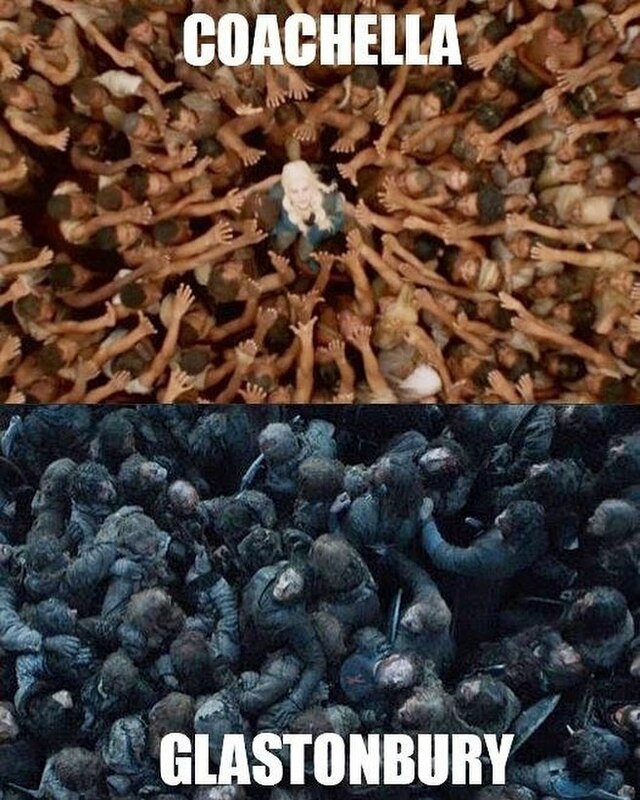 These creative festival + pop culture connections people come up with are hilarious. Peak internet. Thousands of clever memes float around the web, but only the greatest have come to the top. Our all-time favorites are assembled below. 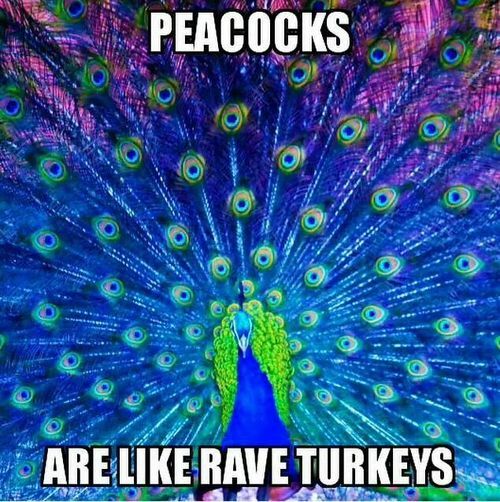 If you or someone you know is the creator of these memes, please let us know! So fresh, so clean, so murderous. In 72 hours or less! Namast-ay away from bad vibes. The secret is out. Extraterrestrial intelligence is responsible for those unidentified flying tempos. Yeah. 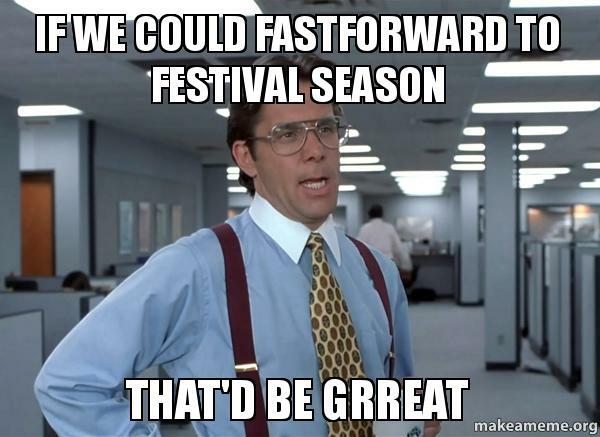 So, it's just, we're going to festival every weekend. So if you could go ahead and try to remember to do that from now on, that'd be grrreat. 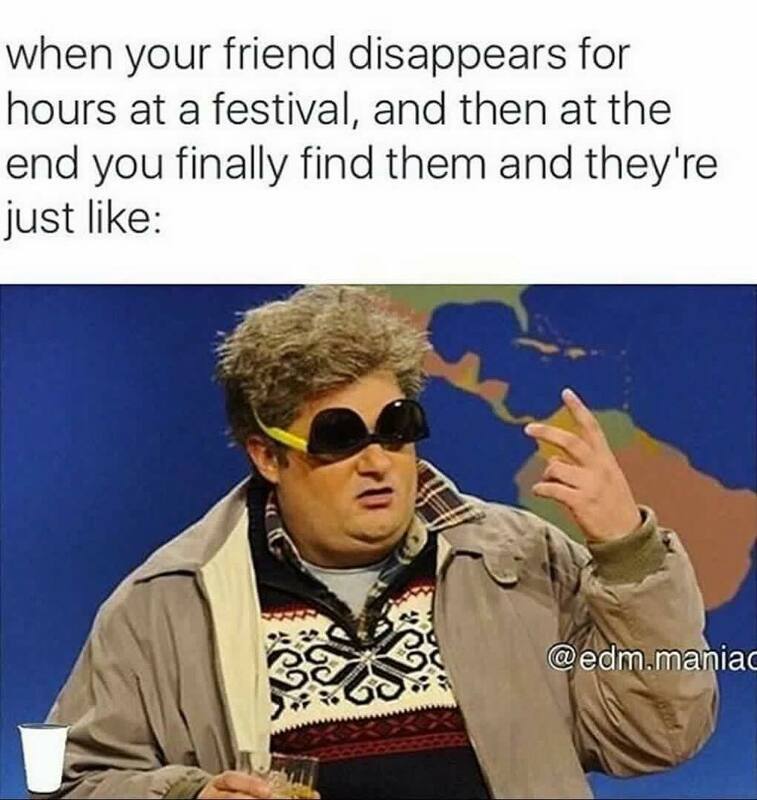 No festival squad is complete without your escape artist. Cat herders of the world, we salute you. THIS WILL BE THE YEAR. Or is it next year? That's what we heard. Who remembers the ravine days? Before Lightning in a Bottle built wooden footbridges two years ago, a trip to The Woogie Stage from Thunder or Lightning meant you had to trip down rocky, steep ravines then claw your way out. 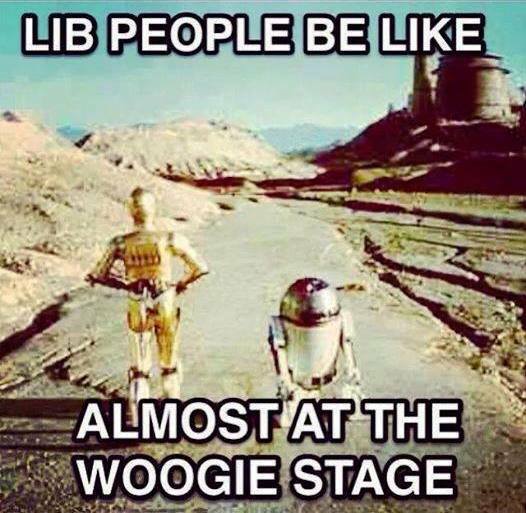 You had to work for that Woogie. 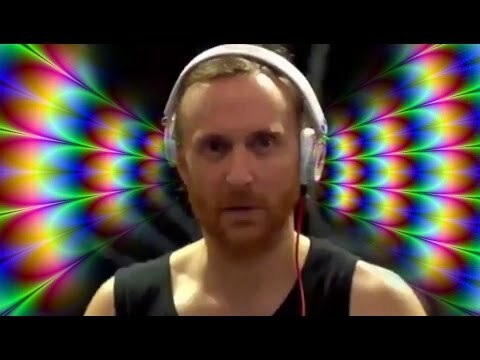 In 2014, David Guetta just so happened to be on the decks at Tomorrowland when the good stuff came on a little too strong. However, instead of chilling under a tree, his skip into oblivion was caught on video in front of thousands. 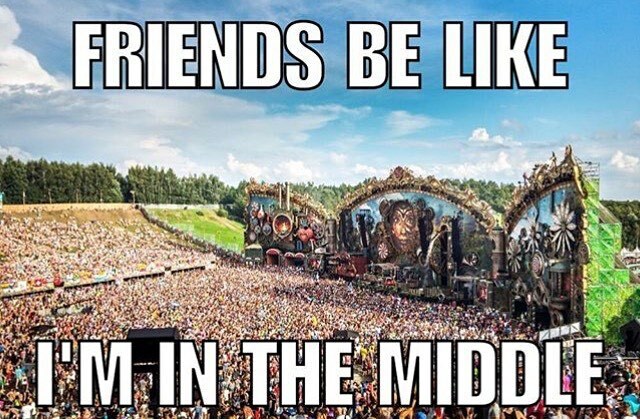 Headliners: they're just like us. "Next to the speakers! To the right of the kid in the red tank top with the flag!" 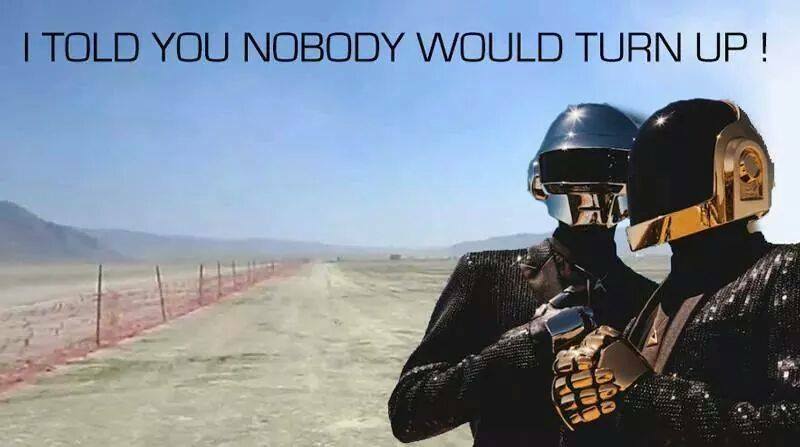 All roads lead to techno. 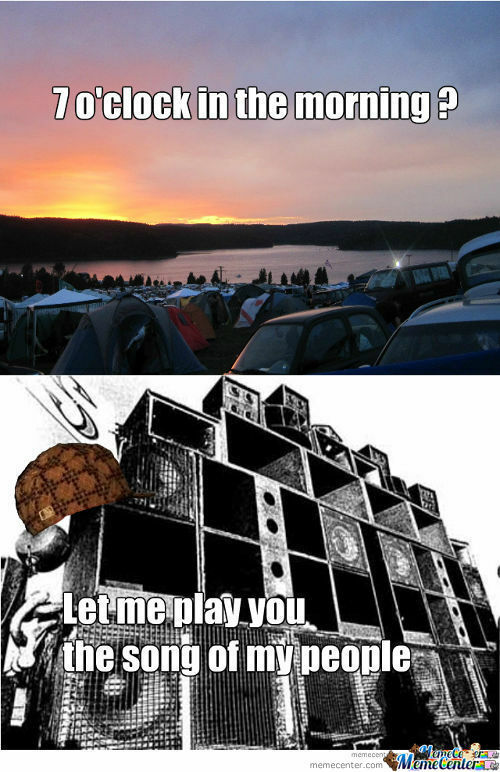 "May this thunderous bass pierce your eardrums, and move the walls of your tent to collapse." Glastonbury? You mean the Pilton mud melee? Drink in hand. Always the drink in hand. Did we miss any other classics?